My first post on this blog, I hope I won't disappoint. It's my second summer in Hokkaido and for having experienced the deadly (yes, really !) heat of Tokyo I must say I LOVE it here. The cool air, many festivals : beer garden, Otaru Festival, Susukino...and of course, the best part, fireworks ! A paradise for me. In France, 14th July is the national day so it's almost the only time in the year we can have fireworks but in Japan, it's almost every weeks ! (and everyday in Lake Toya !) So lucky ! What about you ? Where did you go so far and what did you see ? Let's share your experiences ! I am sure you have some good stories. See you at Chit Chat cafe ! I sincerely hope you are all enjoying the summer in Sapporo as much as I am. The warm weather has finally arrived here in the north and we are not afraid of going outside any more! Summer is definitely my favourite season of the year and experiencing it here in Sapporo is a first for me, which makes it all the more exciting. The Yasakori time has passed but it seems that there are plenty of other great festivals and celebrations going on, especially in areas of music, be it jazz or classical orchestra performances. That way the city always looks busy and energetic. My favourites Mitsuya cider and Seicomarts's new melon soft-serve ice-cream just add to the enjoyment. I suggest everyone go outside and try to enjoy these few fleeting months of hot sun. Go for a walk around the city or to some yet unexplored areas around it, and tell all about your discoveries next time I see you in CCC! This time I want to share with you some little discoveries I have come across over the past year. First, of course, it is about food! I bet many of you have no idea how amazing Georgian food is! Actually me too)) until I stumbled into a small restaurant in Tbilisi last July. Georgia is not a state in the US but a small country in the Caucasus)) a country that famous for its hospitality, many churches (just an amazing mixture of architectural styles), wine shops, and food (!). 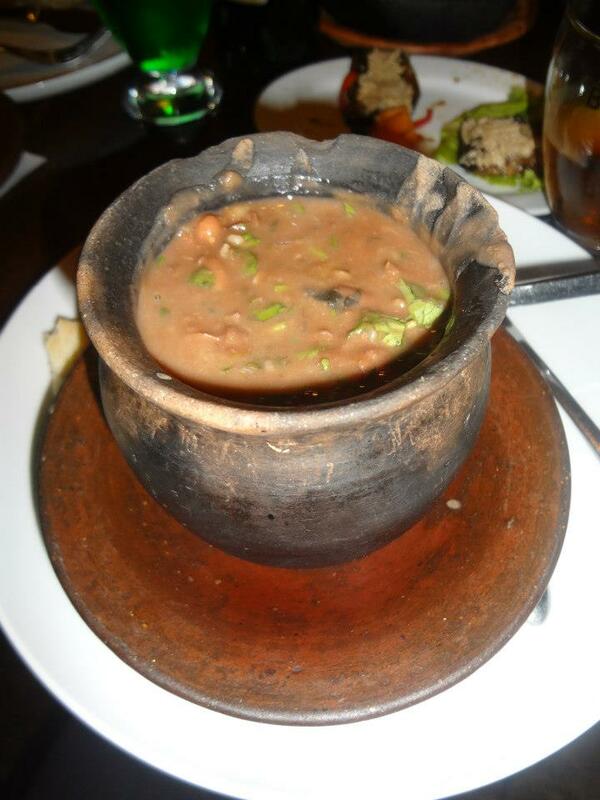 If you have any chance to try Georgian cuisine, I recommend you to have a good portion of Lobio (read beans baked in a clay pot/kidney bean stew). Or if you are a cheese-lover, khachapuri is just made for you! Back to Japan, do you know where the most delicious sea urchin is (sure, except Hokkaido, I would not dare argue with you)? In Tsushima, according to my personal experience. The Tsushima uni I tried last September was fantastic! Btw, have you ever been to the Tsushima Island? 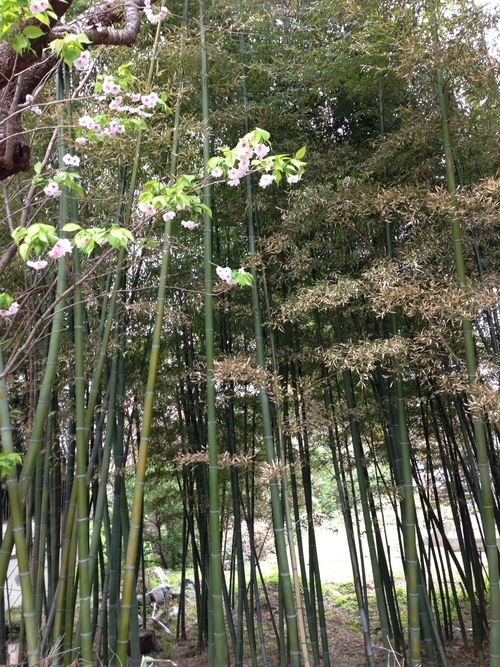 Finally – beautiful sakura in Hokkaido! This year I had my first REAL hanami. Cherry blossom trees in Hakodate and Matsumae were so beautiful! A huge variety of different types of sakura blossom trees all around the Matsumae castle, gorgeous landscape of Hakodate’s Goryoukaku, amazing breakfast at Asa-ichi….are certainly among my best memories of Japan! How have you been doing? Sorry for not being around here for the past few months, but I was busy saving the world. Again. And getting sunburned. That's right, because finally summer is here (even though I think i saw a giant pile of snow in a field still unmelted IN JULY), and with it the sun and my classic white-european-skin sunburn. I've been to Moerenuma park for a few hours playing around with some kids of a Kindergarden I work for, and when I returned home I saw that my beautiful (not really) skin had turned 真っ赤 (I love this word)! Yikes! In Italy I usually use sunscreen only when I go to the beach but it seems like I'll have to bring it with me from time to time even just to go to the park! But I don't care, I love summer, and I can't wait for parties, beergardens and whatnot to start! Do Japanese people get sunburnt? See you around here at CCC! I've always been curious…what kind of greetings are best between Japanese and western folks? Be it for the initial introduction or any other subsequent encounters. Often, I'll see western people attempt bowing--usually incorrectly--or even reaching out to shake hands…and then bow as well, which always strikes me as odd. This seems particularly commonplace when watching politicians at international summits; they'll bow and shake hands at the same time. Or when Japanese people approach foreigners, some will offer a handshake, others will fall back to their cultural norm of bowing, and some do a bit of both. So when confronted with an international encounter, what is best? To each their own? Go with the flow and follow your personal instincts based on the situation and circumstances? Since meeting new people is often awkward anyway--comfortability isn't achieved until the relationship between parties becomes established over time--should greetings also just be an impromptu expression of one's culture or feelings at that place and time; fumbling or incorrectly executing maneuvers awkwardly if necessary? Since both sides face the same difficulty, perhaps the awkwardness can overlooked and quickly forgotten. Should both parties do some research ahead of time if possible? Should there be an international standard? Could there even be one? Hope you'll stop by the cafe sometime and share your thoughts! I hope you guys are having great summer so far. It's starting to warm up again, so I'm hoping to get to the beach real soon. Has anyone done any beach camping already? Anyone have any suggestions on the best camping in Japan?